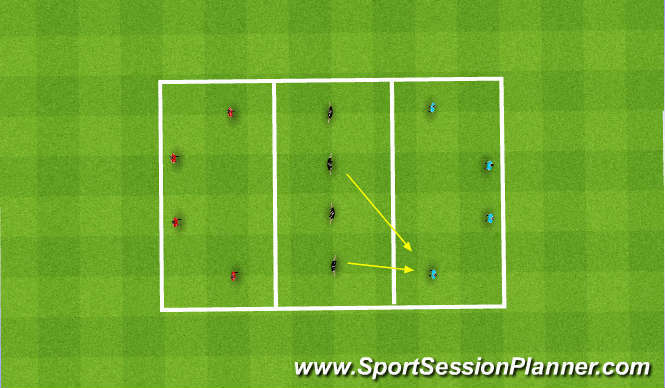 3v3 players can pass with team mates on out side to keep possesion and move to create space to make a forward passor look for one two&apos;s.
Long passing. When,quality, acurate. passing between or over mid section. 4-2 when ball is transfered to defenders retreat to intersept and other two to pressure. Types of passinf. 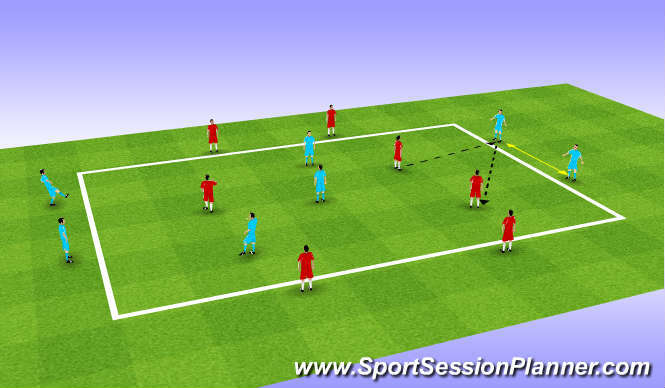 Short, long, control, in air, turns 1v1. Recognising space for self and other. Use it. Speed endurance & anaerobic, balance, agility. Commitment to create space unselfish running. mental strength and work rate when not in possession. Session 1 was done to a high standard and passing and most of all movement was excellent to create space. Session 2 was poor at 1st players paniked in possesion and choose ball times to high long pass.good better need to repeat. for signs of improvement. Individual assessment work - long passing for Shaun Hudson, Davis Dunn, Nathan Stevenson, Ryan Lamb, Liam Neal.